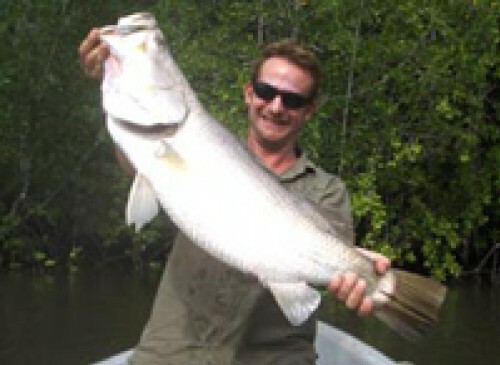 Estuary and Fresh Water Fishing Charter: Two hours drive south of Alotau and over the Cloudy Mountains lies the huge estuary system and barramundi mecca of Mullins Harbour. Characterised by pristine mangrove forest and dozens of rivers, creeks and drains, Mullins Harbour has hardly been touched by sports fishermen. Teeming with life, here you will also find mangrove jack, trevelly, queenfish, snapper and large sharks. Ask us about a half day option for this tour. Maximum Passengers: 5 (excluding our captain and crew) . Minimum Passengers: 2 (excluding our captain and crew) . Departure Point: Driftwood Boutique Resort. Return Time: 6:00pm. We recommend that you bring a hat, long sleeved clothing, sunscreen, a plastic bag to take your catch home in, and your camera. Our Company Driftwood started off in late 2005 as a charter boat service in Milne Bay, Papua New Guinea. With the gradual expansion of the fleet of boats, the hunt was on for a suitable place to house them. After a considerable search, a perfect secluded bay and wharf was found at Point King, Milne Bay. 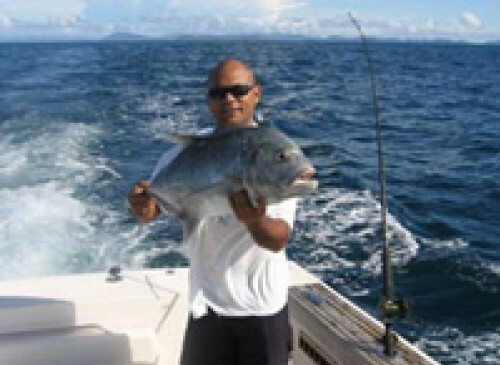 With the knowledge that Milne Bay offered some of Papua New Guineas best fishing, the idea was hatched to combine the boats and newly acquired bay with recreational fishing tours. After a period of research, construction soon began at the Point King site. By mid-2007, the final touches were completed at the Driftwood boutique resort and the first tours began offering some of the best fishing expeditions and adventure tours in Papua New Guinea. Driftwood offers a range of fishing options ranging from half and single day trips through to extended liveaboard safaris. Our boats are kept in excellent condition and we use only the best Shimano equipment.